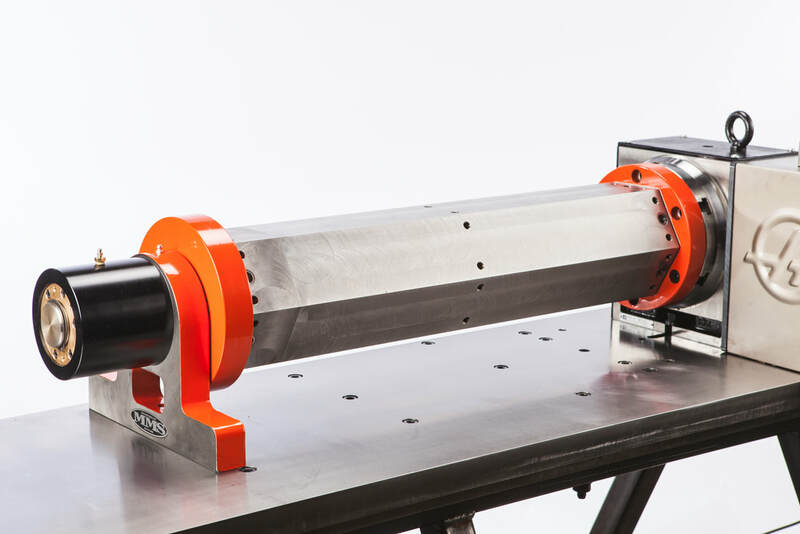 Our Stallion Trunnion Table systems are designed to allow manufacturers to get the most out of their vertical machining centers. The fixtures will bolt directly to the faceplate of any indexer on the market, allowing for an easy setup when it arrives at your plant. While there are standard sizes, we can manufacture your Trunnion to be any size in between and up to 10’ in length. which model is best for you! 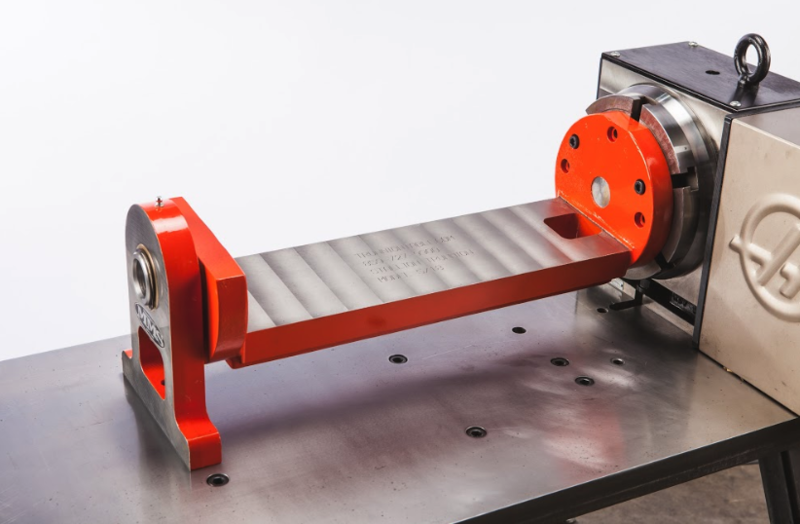 The 5/18 Stallion Trunnion Table allows manufacturers to maximize the efficiency of their vertical machining center and rotary table. Every time a part is handled or indicated, there is an increased risk of scrapping it. The Stallion Trunnion Table minimizes this risk through 4th axis milling. With full 360-degree rotation, machining multiple sides of a part becomes possible, allowing your operators to handle a part as little as necessary. 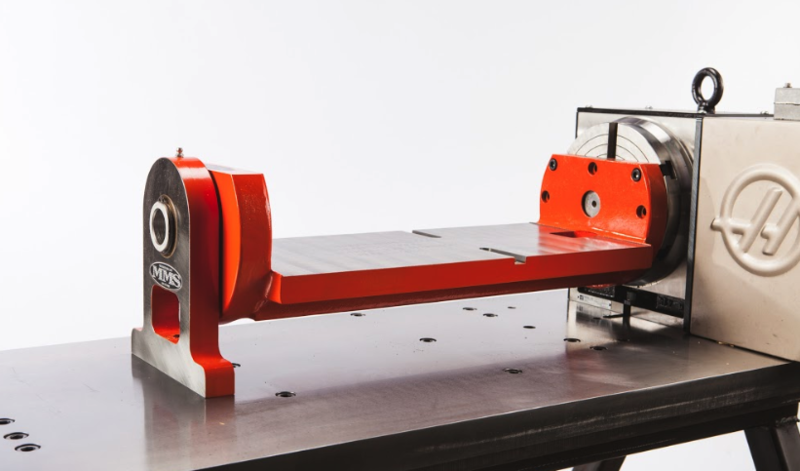 The 9/20 Stallion Trunnion Table allows manufacturers to maximize the efficiency of their vertical machining center and rotary table. Every time a part is handled or indicated, there is an increased risk of scrapping it. The Stallion Trunnion Table minimizes this risk through 4th axis milling. With full 360-degree rotation, machining multiple sides of a part becomes possible, allowing your operators to handle a part as little as necessary. 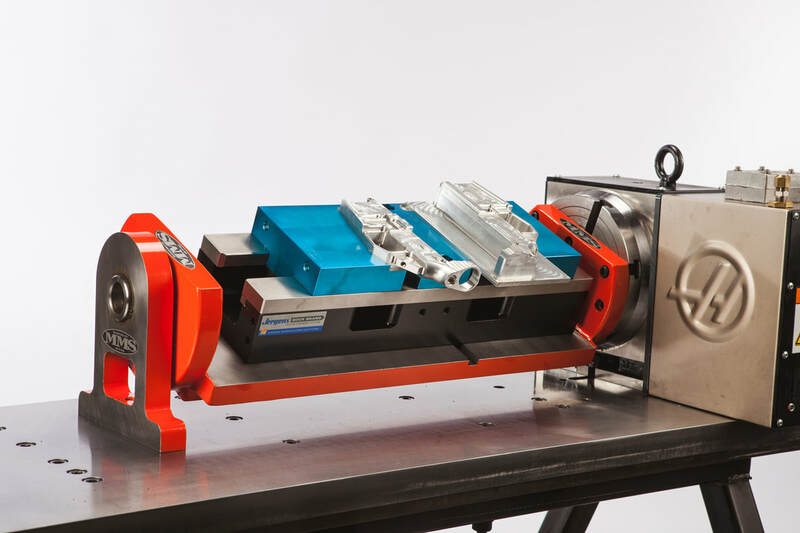 The 9/23 Stallion Trunnion Table allows manufacturers to maximize the efficiency of their vertical machining center and rotary table. Every time a part is handled or indicated, there is an increased risk of scrapping it. The Stallion Trunnion Table minimizes this risk through 4th axis milling. With full 360-degree rotation, machining multiple sides of a part becomes possible, allowing your operators to handle a part as little as necessary. The extra 3 inches, compared to the Stallion 9/20, allows for double station vises. The Double Sided Stallion 9x23 Trunnion Table takes efficiency to the next level by holding double the amount of parts as the standard Stallion. While our base model is a 9x23, we make them in all sizes to fit your manufacturing needs. Every time a part is handled or indicated, there is an increased risk of scrapping it. The Stallion Trunnion Table minimizes this risk through 4th axis milling. With full 360-degree rotation, machining multiple sides of a part becomes possible, allowing your operators to handle a part as little as necessary. The Stallion 9/23 Quick Change allows an operator to load and unload parts onto a sub plate, all while a different set of parts is being machined. The sub plates are easily interchanged using Ballock hardware. Every time a part is handled or indicated, there is an increased risk of scrapping it. The Stallion Trunnion Table minimizes this risk through 4th axis milling. With full 360-degree rotation, machining multiple sides of a part becomes possible, allowing your operators to handle a part as little as necessary. The 9/35 & 10/30 Stallion Trunnion Tables allow for even larger parts than the 9/23. 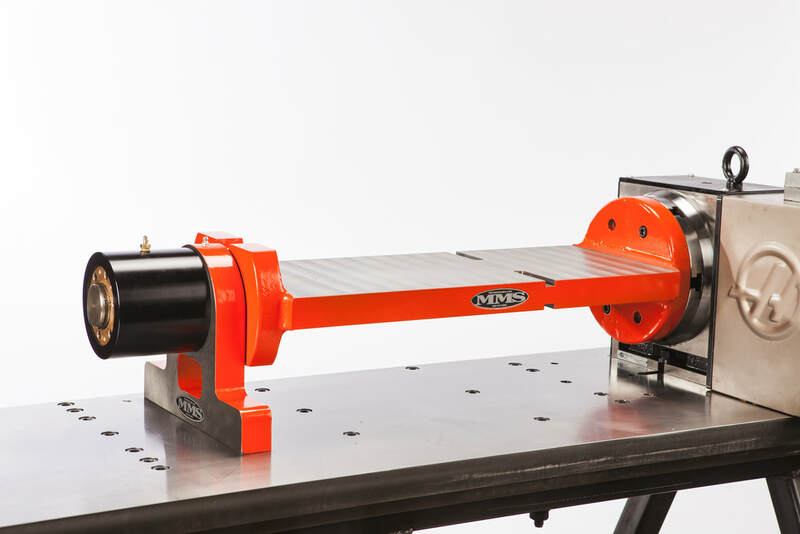 At this size, we recommend adding our hydraulic clamping outboard braking system to decrease the possibility of tool forces moving the rotary table by overpowering the rotary table brake system. Every time a part is handled or indicated, there is an increased risk of scrapping it. The Stallion Trunnion Table minimizes this risk through 4th axis milling. With full 360-degree rotation, machining multiple sides of a part becomes possible, allowing your operators to handle a part as little as necessary. The 12/48 Stallion Trunnion Table allows for even larger parts than the 9/35 or 10/30. 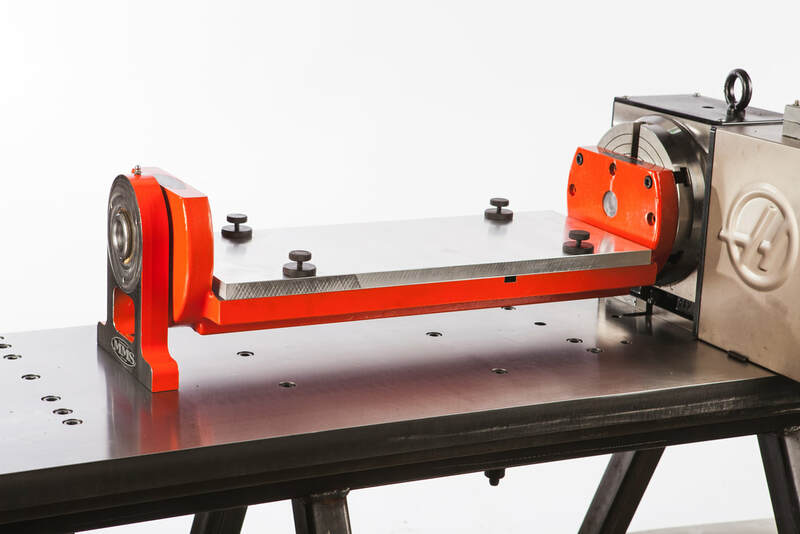 At this size, we recommend adding our hydraulic clamping outboard braking system to decrease the possibility of tool forces moving the rotary table by overpowering the rotary table brake system. Every time a part is handled or indicated, there is an increased risk of scrapping it. The Stallion Trunnion Table minimizes this risk through 4th axis milling. With full 360-degree rotation, machining multiple sides of a part becomes possible, allowing your operators to handle a part as little as necessary. The Stallion Hybrid Trunnion can be made to any of our standard sizes. The fixture includes a pneumatic braking system as well as a chuck, vise, or other work-holding of your choice that resides on the outboard support of the Trunnion. 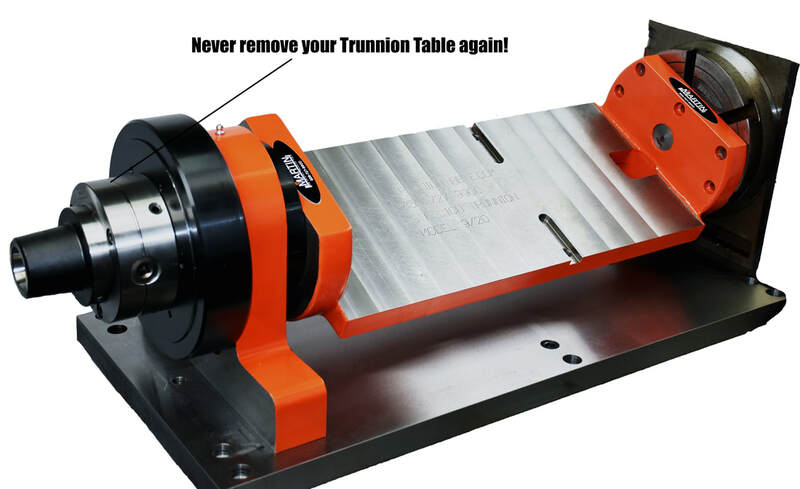 This allows for an additional operation to be machined on your Stallion Trunnion Table and eliminates the need to remove your Trunnion Table for work-holding installation. Every time a part is handled or indicated, there is an increased risk of scrapping it. The Stallion Trunnion Table minimizes this risk through 4th axis milling. With full 360-degree rotation, machining multiple sides of a part becomes possible, allowing your operators to handle a part as little as necessary. The Stallion Tombstone provides manufacturers with the ultimate time saver. With 4 sides, handling and tool change time decreases substantially. Every time a part is handled or indicated, there is an increased risk of scrapping it. The Stallion Tombstone minimizes this risk through 4th axis milling. With full 360-degree rotation, machining multiple sides of a part becomes possible, allowing your operators to handle a part as little as necessary. The Stallion Multisided Trunnions can be made with 3, 6, or 8 sides. The advantage of multisided trunnions is twofold. First, an operator is able to load more parts per cycle than on a single or double sided. Second, tool clearance is greater than a single, double, or four sided, allowing for shorter tools and more rigidity. With full 360-degree rotation, machining multiple sides of a part becomes possible, allowing your operators to handle a part as little as necessary. 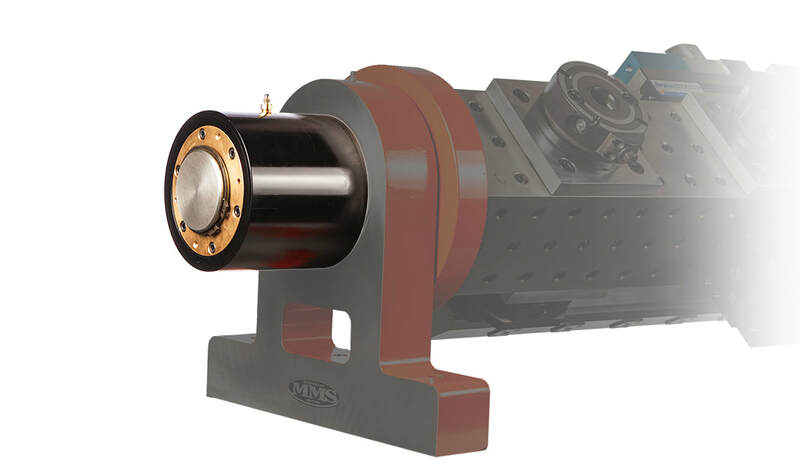 As Trunnions increase in size, it becomes more difficult for the standard indexer brake to hold them in place. In light of this, we have engineered our very own hydraulic braking system to allow for heavy off center milling and drilling. 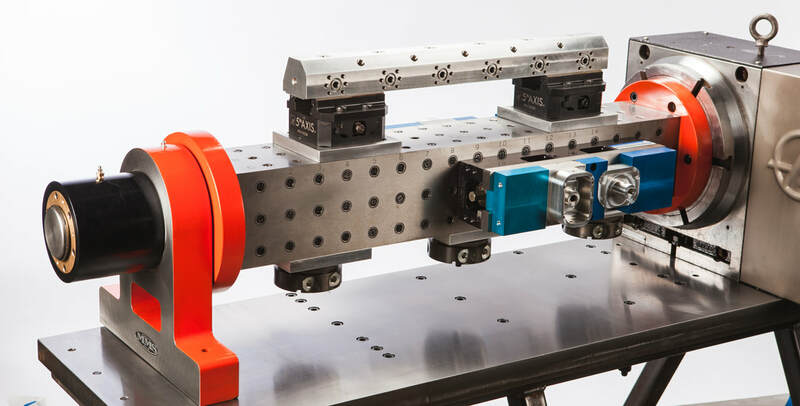 With up to five times the clamping torque of a standard rotary table, you can be assured that your fixture will maintain rigidity throughout your manufacturing process. The brake resides on the outboard support of our Trunnions and clamps simultaneously with the indexer brake.